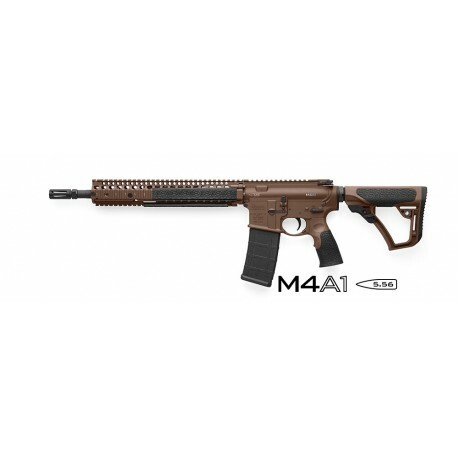 The Daniel Defense M4A1 features the M4A1 RIS II, which has been in use by US Special Operations Command (SOCOM) for the SOPMOD II Weapons System since 2005. The M4A1 features a 14.5” Cold Hammer Forged M4 Profile barrel with a permanently attached Daniel Defense Flash Suppressor. Introduced in 2014, the M4A1 is one of 4 models that is finished with the new Mil Spec+ Cerakote. This rifle also comes with the newly designed, rugged and comfortable Daniel Defense Buttstock and Pistol Grip.